Goalball UK have recently launched a new club in Edinburgh so are looking for players, coaches, officials and volunteers (no experience is required). Goalball is an exciting, indoor, 3-a-side team sport of attack and defend - with a unique twist! It has been played since 1946 throughout the workd by people who are bling or partially sighted. 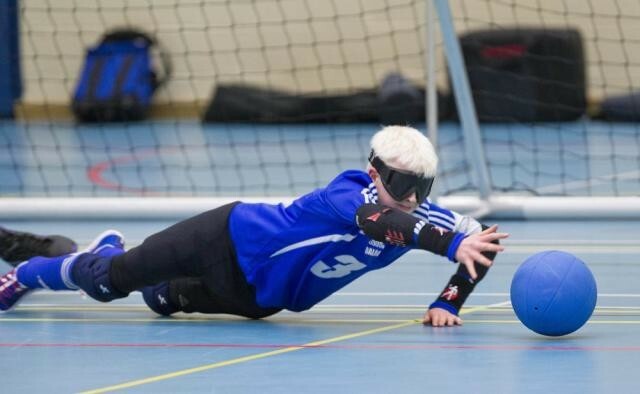 However, goalball is a truly inclusive sport in that fully sighted players can also play domestically - this is because everyone is required to wear eye shades. The ball contains internal bells so players can track its movement by the sound.